IntoVPS Review 2019: Is IntoVPS a Good Hosting? Established in June 2009, IntoVPS is a hosting provider based in Romania. The company is owned by Hosterion SRL and offers reasonably-priced VPS solutions to business enterprises in Europe and the United States. IntoVPS is a Romanian hosting provider launched in June 2009. The company was founded on the premise of offering powerful, secure, and reliable VPS solutions at pocket-friendly prices. They serve thousands of customers spanning multiple countries in Europe as well as parts of the United States. IntoVPS is owned by Hosterion SRL, a full-service web agency with hosting as part of their extensive portfolio of services. IntoVPS uses SSD-powered premium Intel Xeon servers in data centers connected to Tier 1 internet providers. Their full-SSD cloud network is powered by OpenStack. It provides a high number of operations every second and records very low latencies. IntoVPS chose OpenStack, an open-source cloud orchestration project, because of its popularity, efficiency, and cost-reduction benefits. Furthermore, this vendor allows customers to choose their preferred VPS locations from a list of five: London, Dallas, Amsterdam, Fremont, and Bucharest. IntoVPS guarantees an uptime of 99.9%, which is a tad low for VPS standards but still passable. However, what was more heartening was that my tests yielded zero downtime for the six months prior. All hosting packages are also deployed automatically, eliminating the long wait times you’ll often see with VPS providers. IntoVPS hosting plans are reasonably priced, particularly for the quality of premium service they offer. This vendor has a pay-per-hour pricing scheme that doesn’t require customers to enter into long-term contracts or full-month commitments. This approach allows users to create a VPS any time they want and delete it whenever they choose. You are billed for only the period of time that you used the VPS. As is typical of pay-as-you-go pricing schemes, if you choose to pay per month, your hosting cost will be calculated up to the 28th day. The downside of this vendor’s approach is the fact that their pricing does not include additional features like a Windows OS license, traffic over-usage costs, extra IP addresses, DirectAdmin licenses, and so on. All of these will be additional costs to your monthly bill. IntoVPS has assembled a team of highly skilled industry veterans to run their customer support. They’re available 24/7 via telephone, email, and social media, though of course the latter option isn’t recommended as the main channel. If you’re an existing customer, they recommend that you contact them via your registered email address if you want fast support. When I contacted them, they got back to me within 15 minutes on most occasions — definitely an above-average response time especially for the relatively inexpensive rates I’m paying. Sadly, they don’t have a live chat or even a knowledge base on their website, which may prove difficult for DIY-inclined individuals. IntoVPS hosting solutions are ideal for small and medium-sized enterprises that require the performance of a virtual server but don’t have strict regulatory requirements to meet. Larger businesses or organizations with strict protocols to adhere to might want to look elsewhere for a vendor with all-inclusive managed VPS hosting plans for easier and straightforward billing. 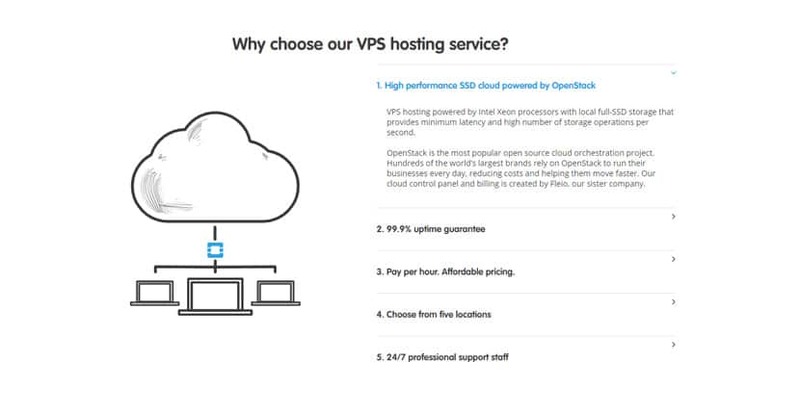 Wondering how IntoVPS stacks up against other Web Hosting companies? Enter any other Web Hosting company and we will give you a side-by-side comparison.